The tree has been revised to basically follow the structure of Karafet et al (2008) and also consults Underhill et al (2007b). Identical SNPs that were discovered separately are listed in alphabetical order, not necessarily in the order of discovery, and separated by "/". Examples: M450/S109, M438/P215, P41.2/M359.2, M436/P214/S33, P222/U250, L38/S154, L39/S155, L40/S156, and L65/S159. 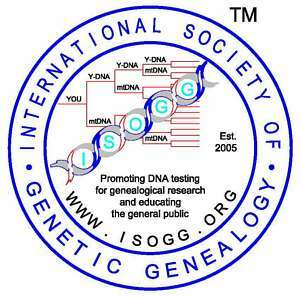 Thanks to Ken Nordtvedt, Natalie Myres, and Jim Wilson for their consultation on Haplogroup I.
Y-DNA haplogroup I is a European haplogroup, representing nearly one-fifth of the population. It is almost non-existent outside of Europe, suggesting that it arose in Europe. Estimates of the age of haplogroup I suggest that it arose prior to the last Glacial Maximum. I1-M253 et al has highest frequency in Scandinavia, Iceland, and northwest Europe. In Britain, haplogroup I1-M253 et al is often used as a marker for "invaders," Viking or Anglo-Saxon. The I1b-M227 subclade is concentrated in eastern Europe and the Balkans and appears to have arisen in the last one thousand to five thousand years. It has been reported in Germany, Czech Republic, Poland, Estonia, Ukraine, Switzerland, Slovenia, Bosnia, Macedonia, Croatia, and Lebanon. I2-M438 et al includes I2* which shows some membership from Armenia, Georgia and Turkey; I2a-P37.2, which is the most common form in the Balkans and Sardinia; I2a2-M26 is especially prevalent in Sardinia. I2b-M436 et al reaches its highest frequency along the northwest coast of continental Europe. I2b1-M223 et al occurs in Britain and northwest continental Europe. I2b1a-M284 occurs almost exclusively in Britain, so it apparently originated there and has probably been present for thousands of years. Added Karafet et al (2008) and Underhill et al (2007b)on 4 May 2008. SNPS added on 4 May 2008: M423, M436, M438, M450, P109, P212, P214, P215, P216, P217, P218, P219, P220, P221, P222, P223, P259, S107, S108, S109, S110, S111, U250. M72 is no longer coded private on 5 May 2008. Removed Capelli et al (2005), Karlsson et al (2006) and Sengupta et al (2007) as they did not identify new SNPs in Haplogroup I or significantly add to the knowledge of the structure of Haplogroup I on 6 May 2008. Revised the relative placement on M21, M227, M423 and M26 and haplogroup description to be more in alignment with Karafet et al (2008) on 11 May 2008. Added Charles Moore in Additional References and made M450/S109 as equivalent on 11 May 2008. Added S79 into Notes on 26 May 2008. Simplified note pertaining to S79 on 11 November 2008. Reversed definitions of subclades I2a1, I2a1a and I2a2, I2a2a on 21 December 2008. Added rs35547782 and rs9786274 on 21 December 2008. Added L22/S142 and S79 to tree on 22 December 2008. Changed rs35547782 to L68 on 23 December 2008. Added the T designation to rs9786274 on 24 December 2008. Added L38/S154, L39/S155, L40/S156, L65/S159 on 25 December 2008.